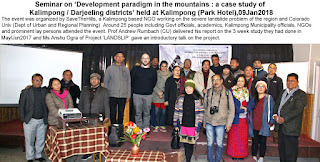 Raising awareness about the environmental issues facing the Himalayas and also the severe landslide hazard problem of the Darjeeling-Sikkim region is one of the main roles of STH. 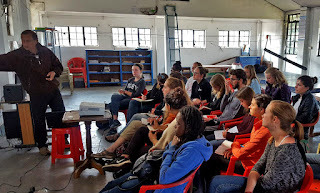 As such it was wonderful to talk to 19 students of Colby College (USA) once again in 2018. We hope that this will be an annual event for both STH and Colby. 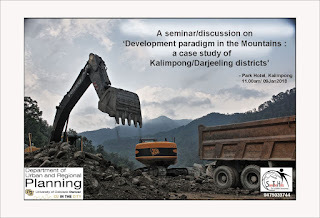 Small towns and hamlets in the districts are urbanizing at a phenomenal rate, often in an unplanned manner. 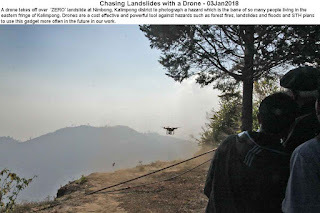 As they do so, the industries viz educational vocations, tourism, construction which are replacing traditional means of livelihood (main agro-based work) are more vulnerable to disaster. 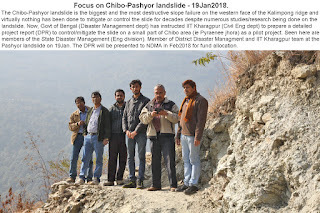 The study clearly showed the huge growth of human settlements and expansion of the developmental activities (such as road construction) along steep slopes or in the vicinity of landslide areas which results in a net increase of disaster risk in these regions. 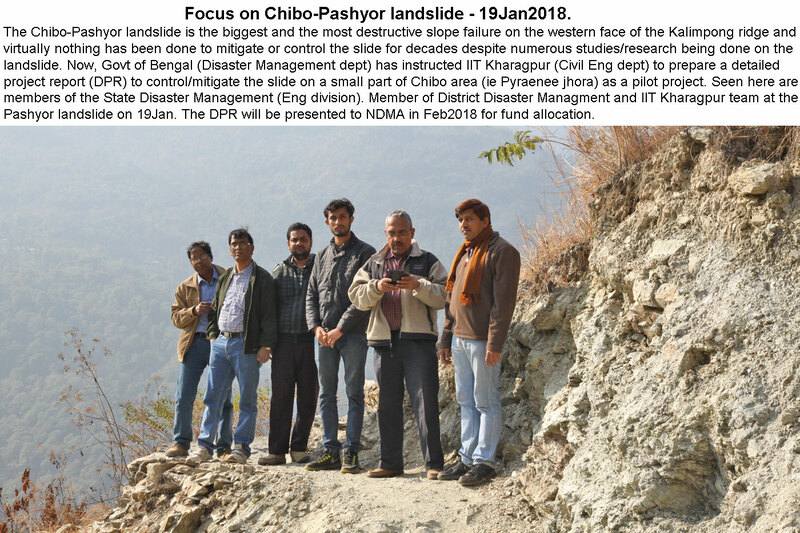 There is a need for landslide hazard zonation maps where available to be made public and easily accessible so as to incorporate this into the planning process. 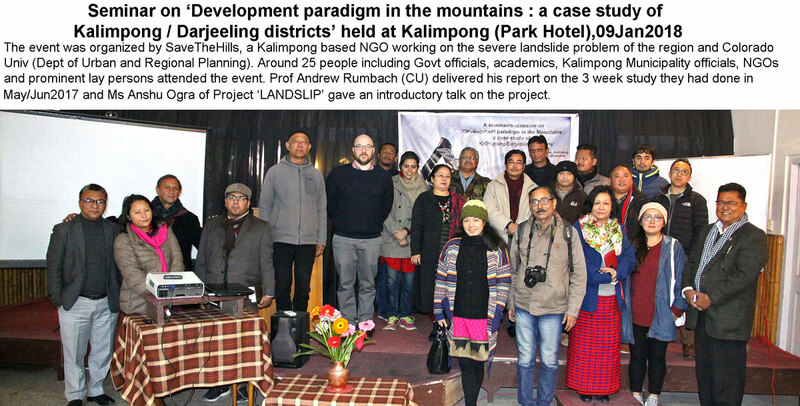 In the final analysis, there is an urgent need to better manage development activities in the mountains to reduce disaster risk. STH has reported on the landslide at ZERO gaon at Nimbong, Kalimpong here.